Take a trip to a mysterious land as you play Legacy of the Wild by the gaming providers Playtech. 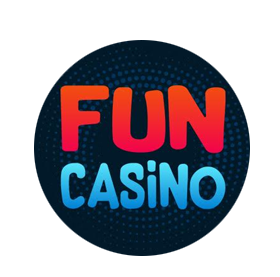 Join in on the adventure and spin to win some brilliant cash prizes and the chance to enjoy great bonus features such as free games and wild symbols. 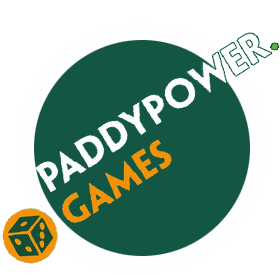 Play Legacy of the Wild at Paddy Power today and see what cash prizes you could win! As you play Legacy of the Wild, you will find this slot game comes with; 5 reels and 40 paylines – this means there are lots of ways for you to create a winning combination. When it comes to placing bets to play this game, it’s suitable for players of all kinds of budgets. The lowest bet you can place per line is 0.01 which in total is 40p and the highest amount per line is 3.00 which is £120.00 in total. You can change the amount you want to bet at any time by clicking the + or – buttons on the reel. However, when you bet higher amounts across more of the reel, you can expect to win higher cash prizes. The design of this slot game Legacy of the Wild by Playtech shows an overall majestic theme with the colours and the images used. This game shows a magic laboratory-like image in the background with the candles and spells books in the desk, the background is also dark which helps make the symbols on the reel stand out more because they are a lot brighter and more eye-catching. In the game Legacy of the Wild, the symbols used are mythical and they are all worth different amounts. The symbols on the reel include low paying and high paying symbols; the different coloured symbols are the low paying symbols and the characters are the higher paying symbols. 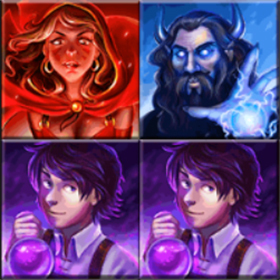 The characters include the boy holding the potion in the purple, the girl in the red, the monster I the green, the sorcerer in the blue and the wizard in the yellow. 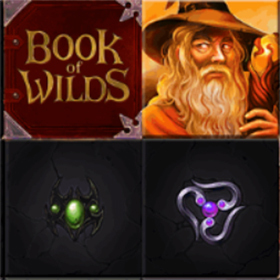 As you play Legacy of the Wild you will find that the wild symbols can help you win great cash prizes. In this slot game, the wild symbol substitutes for all other symbols on the reel. The wild symbol appears as a book and every time there is a consecutive win, page wild symbols appear next to the book which can lead to some good winning lines. Like many slot games, you can find some great bonus features as you play Legacy of the Wild; these bonus features include wave winnings and free games. The Collapsing Reels feature is triggered after any winning combination and all winning combinations explode after paying out which causes a new wave of symbols to collapse onto the reels. The Wave-O-Meter lights up after every consecutive wave win if you get 5 or more wave wins, you can trigger the free games. Overall, the slot game Legacy of the Wild is a brilliant slot game that boasts innovative bonus features.